Late last year I had one of those "slap yourself in the forehead asking why didn't I think of that" moments during a PLC meeting. I was listening to some of my primary colleagues talk about their writing block, and they mentioned how much their students love to write ... so they just let them write. They still do writing lessons and have formal assignments and assessments, but they also just let them write for fun. No strings attached. I drove home thinking about it. I ate supper thinking about it. I went to bed thinking about it. It just made sense. I have always always always protected my independent reading time - singing its praises as it turned my students into lovers of literature. I don't bog them down with reading logs or assignments for their independent reading - I just want them to read. Sure, they do the odd assignment, and we do have a challenge for the numbers of books we read, but really, it's pretty simple - just read. They are so excited to share their reading that we do a pair share every day after reading - students read a page to each other from their reading (practising their oral reading skills) and then give a quick summary and ask and answer a comprehension question about the reading (this is where I use my Reading Question Fans). This simple daily practice where they use the skills they have been taught during more formal lessons and minilessons works. Peroid. So why wouldn't it work with writing?? The next day I grabbed 25 notebooks and we started. I call this time "Free Writing" - free to choose your own topic, free to abandon a piece and start a new piece, free to make your own choices. About half the class was eager to start immediately, and about half the class looked at me with blank stares. Clearly, they were not as excited as I was ... yet. So, we talked about it. We made anchor charts showing all the different forms of writing they could do, we brainstormed all the different topics they could write about. We set expectations for the time - write the whole time, focus only on your own work, practise writing skills taught, 100% effort, etc. And then, I crossed my fingers and we just dug in and started. WOW. Immediately my kids were getting excited - at the end of each 10 minute daily free writing block (yes, just 10 minutes ... surely you can find 10 minutes somewhere in your day) there was such a buzz and excitement in the class. Students wanted to share with me, with each other, with anyone who would listen to them. It was like striking gold. 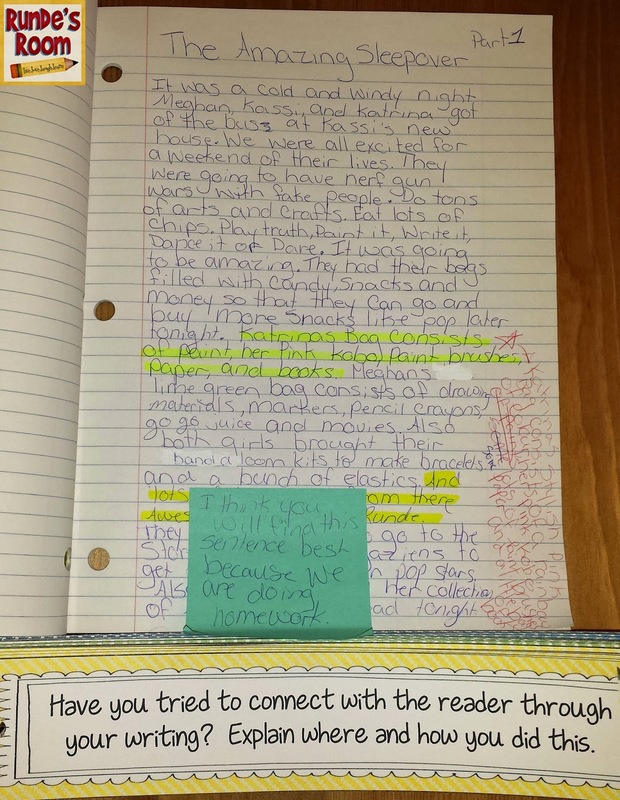 But still, even with our "no rules" free writing, I still wanted to make sure they were going back and revising and editing - thinking about ways to improve their writing, so "Find It and Fix It Fridays" were born. This is free in my TPT store and is a fun and interactive way to practice those editing and revising skills. It's a zipped file containing both a PDF and Smartboard file - you can use either with your class. We started Free Writing last year in March, and the results were quickly evident - our writing scores improved over 30% by the end of the year. I'd say it was a success. 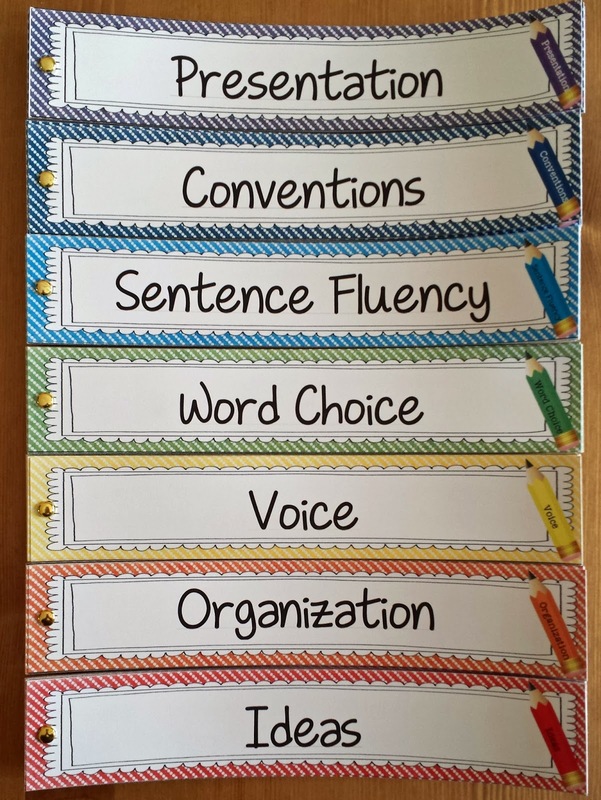 I knew I wanted to make a few improvements this year, and really get them thinking even more about their writing, so I started working on a set of Writing Reflection Fans to use during a pair/share for our free writing. These fans use the 6+1 Traits of Writing as their foundation, which is what I use for my writing minilessons in class. There are 15 different questions for each trait, so there is a lot of choice for students or me. After our 8-10 minute free writing block, students get together in a pair share to share what they have written. While they are sharing, I have a question ready for them (which I project under the document camera). 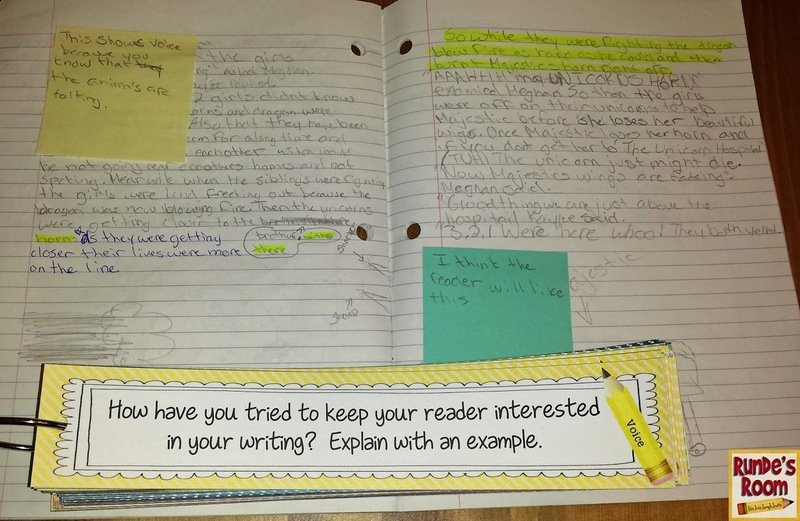 With their partners, they have to answer the question - highlighting evidence in their writing, or reflecting on a sticky note. They are also explaining their thoughts or proof to their partners. I am loving how it's working so far. Sometimes, when I really want them to think about a particular concept before they start writing (like paragraphs) I'll post the question first, but a lot of time it comes later - as more of a reflection. Fridays we still do our "Find It and Fix It" because the kids loving using the Smartboard for it. Okay - I know you have a few questions, so let's see if I can answer some of them already. What do I do about those extremely unmotivated writers? Well, I think I'm pretty lucky. I've really only had one or two each year. And even they began to write. I model enthusiasm and excitement for it. I'd meet with them more to help them come up with ideas (linked to something they are passionate about). The fact that they could start with a comic book (or graphic novel) really helped the motivation. One of them last year got hooked writing descriptions of his dream skateboard. One this year is writing about his favourite hockey trip. The fact that they have to share with a friend after really motivates them, too. They don't want to be the student who doesn't have anything to share. 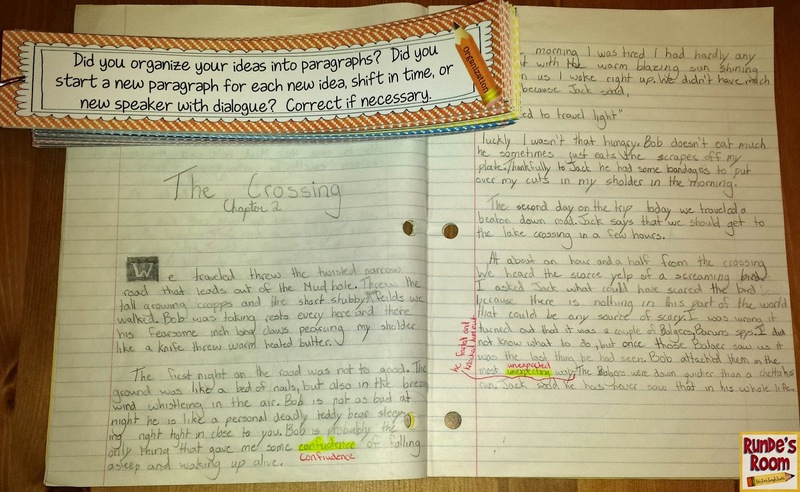 How do I assess the writing? This is the best part - I don't ... usually. This is their practice time - it's not a summative assessment. I do observe them while they are writing, and I point out things when I'm walking around (maybe even make a note or two for myself) but this isn't another assessment to add to your plate. This is just a small part of our writing block. The rest of the time is spent on grammar, writing minilessons, writing formal pieces - all things I DO assess. Where do I find the time? I just do. It's important to me. It's only 10 extra minutes a day. If I just stop talking for 10 minutes, it can happen. And trust me, my little sixth graders get a whole lot more out of this than listening to me talk for another 10 minutes in the day. ;) And the benefits speak for themselves - you can't argue a 30% improvement in writing scores, but best of all, my students LOVE to write. Whew ... I think I almost wrote a novel here. Can you tell I'm passionate about this? Sometimes it's the little things that make a BIG difference in the classroom. I like this idea also. I noticed that class journals made my students more inclined to write so I'm sure letting them write about whatever would make it even more fun. I think I'm going to start this! Thanks for the post!!! Thanks, Kristen! You KNOW I feel the same way each time I visit your blog. Let me know how it's working! This is such a great idea! I need to get my students writing more. Just curious, do they write and work on the same piece each week and revise on Friday? Or can they write new pieces each day? Also, what do you do with your early finishers? Thanks again! Hi Justin! With the fans, we are revising every day. They can choose whichever writing piece they want for our reflection and revising activities. Because they are free to write whatever they want, some are writing much longer narratives, and others are writing shorter pieces every day or two - comic book entries, poems, journals, etc. I have a lot of variety. Some are working on two or three different writing pieces. Early finishers aren't an issue because one of the expectations they have is that they write for 10 minutes each day. If they happen to finish a piece, they would start on another piece ... or at least start brainstorming for another piece. 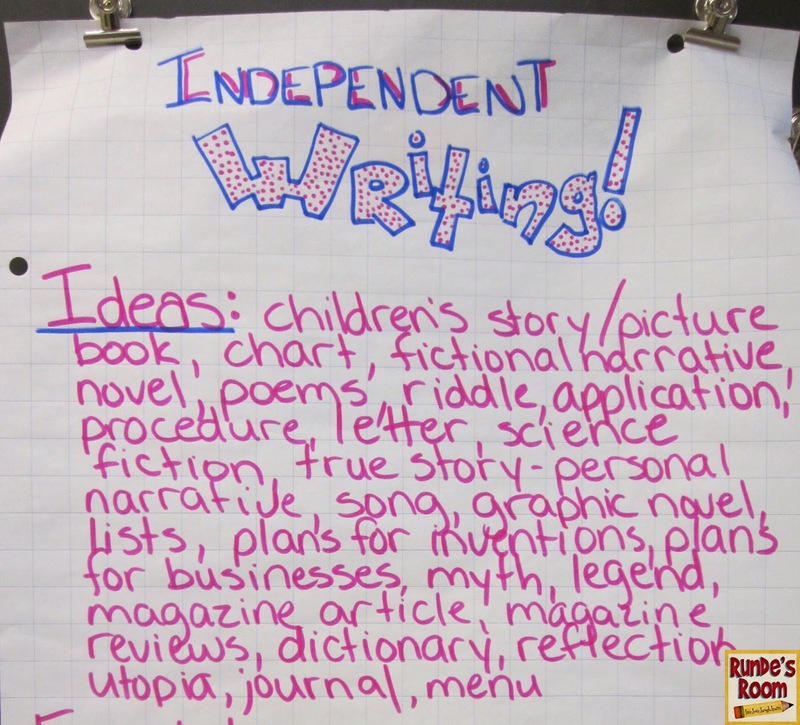 Thank you for reminding me about independent -free- writing. This is something I use to do with my 4th graders when I first started teaching. Unfortunately, I have gotten away from it with all our new district requirements and expectations. I plan on implementing 10 minutes of free writing when I return from my maternity leave. 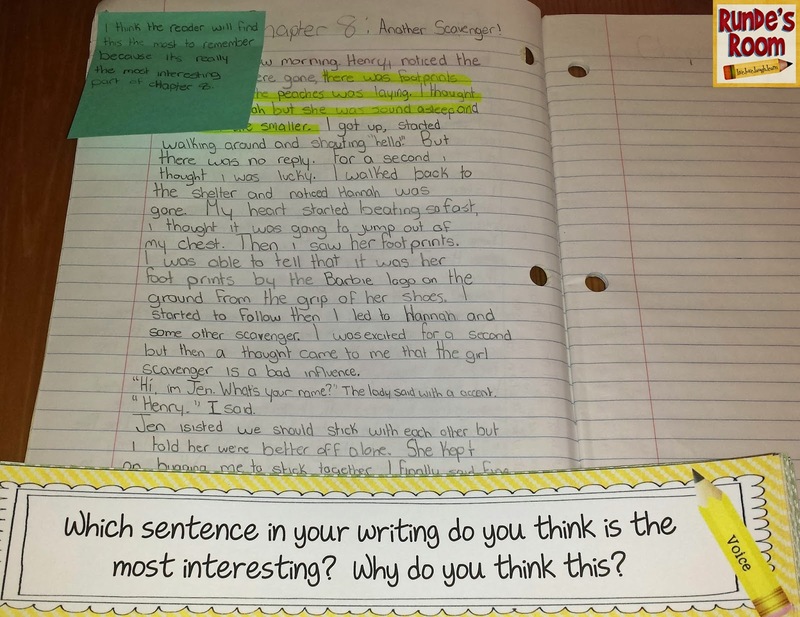 It is so important to have that time for students to write about what they like. I will be moving from 7/8 to 9th next year. Even "big kids" need to free write. Thanks for the tools to make my transition easier! I loved reading your post today! You have so many great ideas. I agree that "Free Writing" time is so important. I wish I could say that I do this with my 4th graders but I always feel like I run out of time. I am glad that I read this because I am going to MAKE the TIME to do this. I know that it will really motivate my kids to write! I did something similar to this last year, but I love how you set this up in your classroom. And the Writing Reflection fans- I can't wait to try these! :) I also want to try your "Find It and Fix It." Great ideas! Thanks for sharing! Can you share how many sets of fans you use in your class? Does each student have his/her own set, do you share one as a class, or one to a group? Thanks. My district is on a snow day because of the weather so I am at home and found your blog. 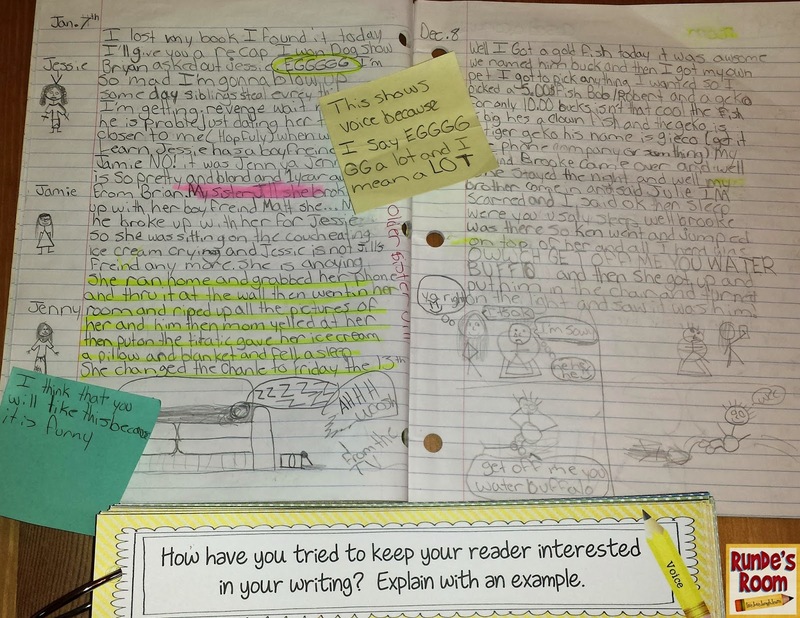 The free writing idea is great and I also love the sharing with a partner and the fans. It was perfect timing! Went to your tpt and bought a couple fans. Can't wait until tomorrow because I just adjusted my lesson plans! I LOVE that dice revising thing. That is just perfect for my students. Off to print now! I love the Find It and Fix It! I think my students become overwhelmed with the process of revising and editing. Focusing on just one area at a time is a great idea. I'm going to use that this week. I can't wait! Such a great idea! I am revamping my language block this week because I am so motivated by this concept. I am a homeschooling mom of boys. This year I started them on free write journaling, and they love it (no real structure, no rewrite this, edit that). Just the freedom to ge their creative ideas on paper. But I love the way you have structured yours. I love the reflection fans!